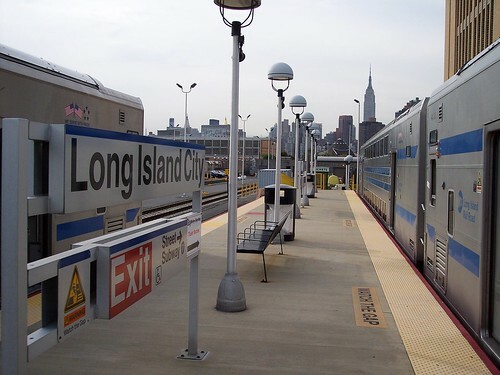 We began two trips at Long Island City, both on the same day and both to Jamaica. In one case we went via Hunterspoint Avenue while in the other case we took the Lower Montauk Branch. This platform is closest to the ticket machine. There are also other platforms that are less obvious. 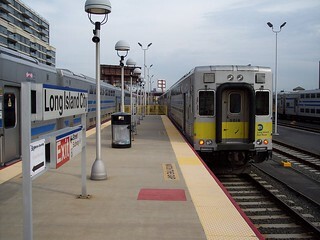 Our Lower Montauk Branch train left from one of these other platforms. We almost missed it. 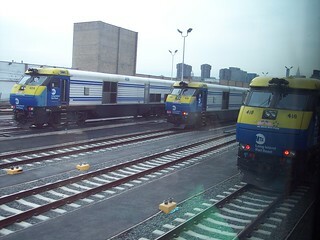 The trains wait for their evening runs. Our train to Jamaica via Hunterspoint Avenue waits on the right.